May 28. The lifeless body of a Bucerias bank manager was found on Sunday, May 27, in the Aurora neighbourhood on the road to Pitillal near Puerto Vallarta, Mexico. 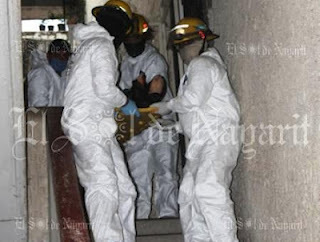 At about 6:20 pm Mexican police began receiving reports that a lifeless male subject, José Santana Caro Ortega, 47, was found in apartment #23 in building 2004-A in the Aurora area. 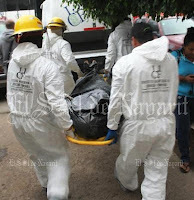 Police arrived and interviewed a resident of the building, “Martha”, who said that she hadn’t seen José Santana Caro Ortega in days, and that she had noticed a strong odour coming from his residence. Caro Ortega was a manager at a Bancomer branch in Bucerias. When officials arrived the apartment was already opened. Apparently, Mr. Caro Ortega’s family had hired a locksmith to open the building, whereupon his body was discovered. Police have also advised that the victim’s vehicle, a red 2006 Dodge Caliber, has gone missing. Bucerias is a popular tourist destination near Puerto Vallarta. The area has a large expat community.